Want to make a difference in someone’s life? Become a volunteer. 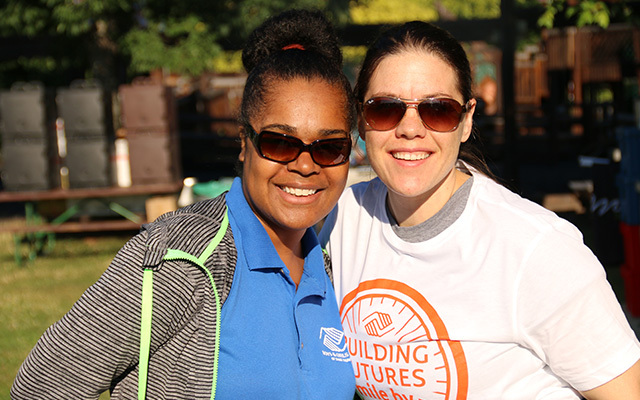 Volunteers are an essential part of Boys & Girls Club mission. Our volunteers directly impact the daily lives of Dane County children by tutoring, mentoring and teaching or facilitating our many fun and educational programs. As a volunteer, you have the honor of making a meaningful and lasting impact on each child you encounter—a reward that we hope is well worth your time! Assist in filing, data entry, mailings, etc. during office hours. Tutor youth in various school subjects. Help facilitate educational games and activities. Mentor teens by assisting with homework, recreational skills or chaperoning field trips. Teach computer basics and assist with educational games and activities. Teach music, dance, spoken word, or other creative skills. Help facilitate athletic games and activities in the gym or outside, or coach/referee teams in our sports leagues. Organize games and tournaments, play games with kids, facilitate spontaneous fun activities, or create your own games. Assist with teaching arts and crafts projects, spice things up with your own project ideas. Inspire and prepare members in grades one through eight for their educational futures. Individuals: Mentor and/or tutor high school students to prepare them for college and beyond. Businesses/Organizations: Provide a paid summer internship for high school juniors and seniors to help expose them to a variety of career options. Sit on the planning committee, help recruit volunteers, or assist with day-of event activities. or assist with special events going on around the Club. For the safety and security of our youth all potential program volunteers must complete a background check. Please allow us up to two weeks to process your application. For more information on how you or your business/organization can get involved, please call Jenni Hughes at 608-257-2606 or email Jenni Hughes. Please choose your area of interest and we will get back to you shortly.